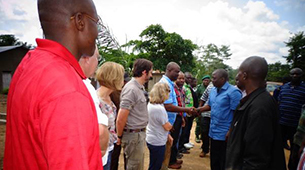 The Democratic Republic of Congo is a very poor country, beset in recent years by civil war and general unrest, rendering the government often incapable of providing even the basic services for its citizenry let alone the rural villages of the Ituri Forest. 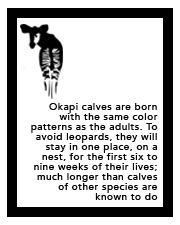 Yet the investment and support of these communities are crucial to OCP’s effort to protect okapi in the wild. The security and well-being of local communities are essential to support efforts of ICCN to control activities detrimental to the conservation of okapi and other species of wildlife in the Reserve. 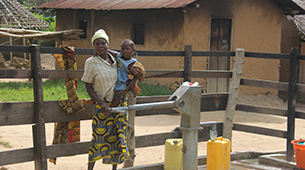 Okapi Conservation Project works with donors and partners to provide broad-based community assistance — building and supplying schools and health clinics, developing fresh-water sources, and providing medical care and transport of emergency cases to regional hospitals. 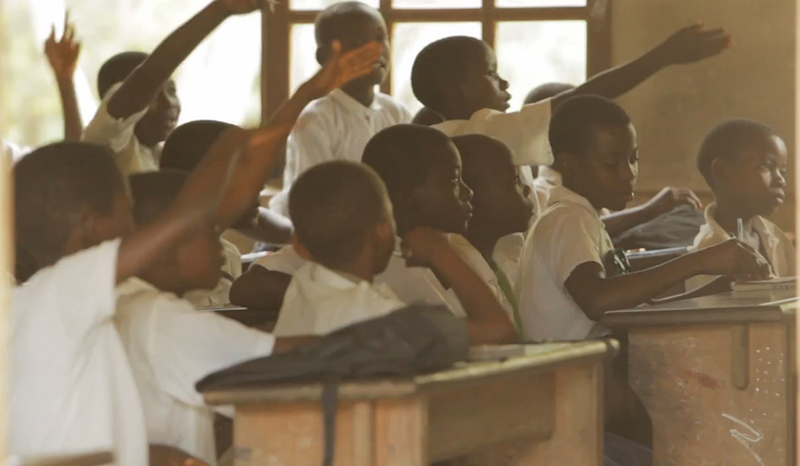 Conservation education enlightens communities to the importance of symbiosis with the environment and being active stewards of their natural heritage. Even sporting events, namely soccer, are used to engage communities, foster cooperation, and disseminate vital messages. 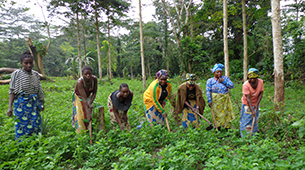 In recent years, the organization has implemented programs to instill economic self-reliance for women by supporting development for organized Women’s Groups.